Mongol Empire was the greatest empire of 13th Century which is ranked among the most ruthless empires of the whole human history. During 14th Century, the Mongol Empire disintegrated in to several relatively smaller dynasties. 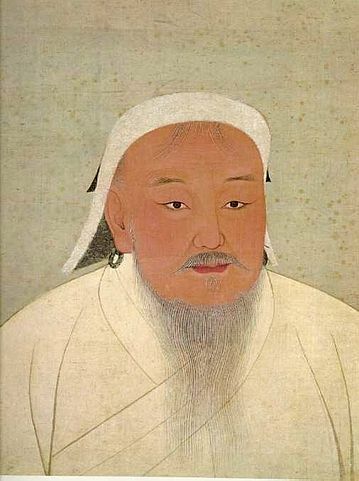 The Mongol Empire emerged in 1206 from Mongolia and captured vast areas of Eurasia in just few decades under the leadership of Genghis Khan and his military commanders. The rise of nomads of Mongolia to capture areas of today’s Russia, China, Central Asia, Eastern Europe, parts of Middle East etc. was not merely due to capabilities of Mongols. In fact, several other factors also played important role in the rise of such huge empire. Before the emergence of Genghis Khan, Mongols were divided in various groups and tribes who fight against each other to control their areas. Genghis Khan also had to fight against his enemies to take control of his tribe and then manage to gather all the other Mongolian tribes under his banner. Mongols were great warriors and only lack appropriate leadership to become a superpower. This leadership was provided by Genghis Khan with his bravery, wisdom and other leadership qualities. Mongols proved themselves to be the masters of battlefield by designing various strategies and showing marvelous fighting skills. By using new tactics, the Mongols were able to defeat enemies greater than their own armies several times. The Mongols were expert in living in harsh conditions and they were skillful to throw arrows with their bows while riding a running horse (horse arching). These capabilities made them superior to their enemies. ‘Yassa’ was a code of law introduced by Genghiz Khan and it was compulsory for the Mongols to accept and act upon this law. The lawbreakers were given severe punishment. These comprehensive laws provide directions about political, social and domestic issues. ‘Yassa’ was a major factor for uniting the Mongol Empire and creating discipline in them. Mongols were notorious for their cruelty and it was worst against the opponents that show stiff resistance against them. The citizens of Baghdad, Khwarezmia, Kievan Rus and several other areas were annihilated by the Mongols. These tactics were used not only to exterminate any potential future danger but also to create the feeling of fear among enemies that resisting the Mongols will be ‘unforgivable crime’. Mongols were not cruel on every opponent but they also used the skilled and capable people of other nations for their own benefit. Few of the examples were the presence of foreign physicians, engineers and firearm experts in the Mongol army. All these expert and skilled persons were selected by Mongols from their defeated nations.